Museum of Design Atlanta (MODA) is a modern art museum in the heart of Atlanta off of Peachtree Street (it's Atlanta everything is off a Peachtree something or other). MODA's mission is to advance the understanding and appreciation of design as the merging of creativity and functionality. They do this through their amazing exhibitions, education and programming for visitors of all ages. My children love art! But they are both passionate about art in different ways. Gwyn loves drawing animals and exploring different art mediums like pastels, watercolors and colored pencils. Rowyn loves building 3 dimensional creations. So art museums and art events are always on our fieldtrip list. Recently we found out that one of our local art museums here in Atlanta, which we have never visited previously, started offering homeschool days. 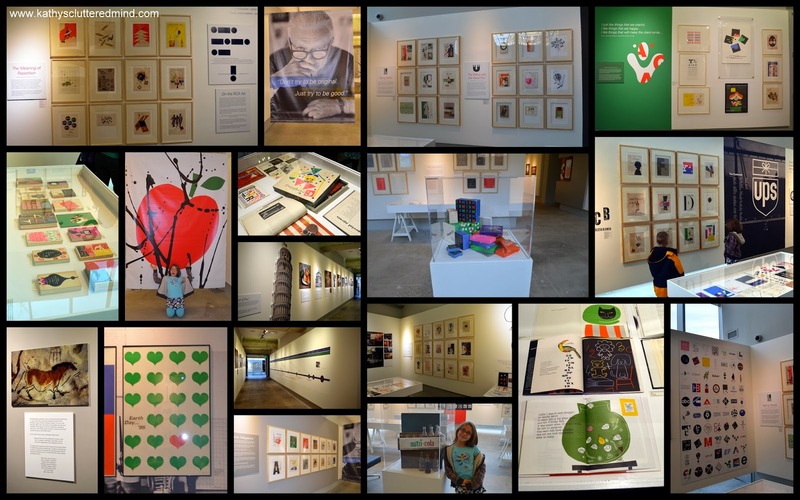 So it was a great time to take a visit to the Museum of Design Atlanta (MODA) to check it out. The homeschool days require setting up a tour time so they can group age appropriate children together. The homeschool day runs from 10 am - 5 pm so just send them an email to RSVP and arrange your tour time (it's really simple). The rate for the program is fantastic and only $4 per person (parents and children). The day we visited we did the 10 am, Paul Rand tour. The tour is 90 minutes long and geared towards K-12. Jenn Allen was our tour guide and she did a fantastic job of keeping the children's attention and presenting the information in a way that they could understand. They plan to offer homeschool days for each 3 month exhibit and there will be 3 different programs offered (1 a month). See below for the next exhibit information. The museum has been focusing on incorporating more hands on experiences throughout the museum for the younger crowd since last April. And they certainly did a fabulous job with the Rand exhibit. 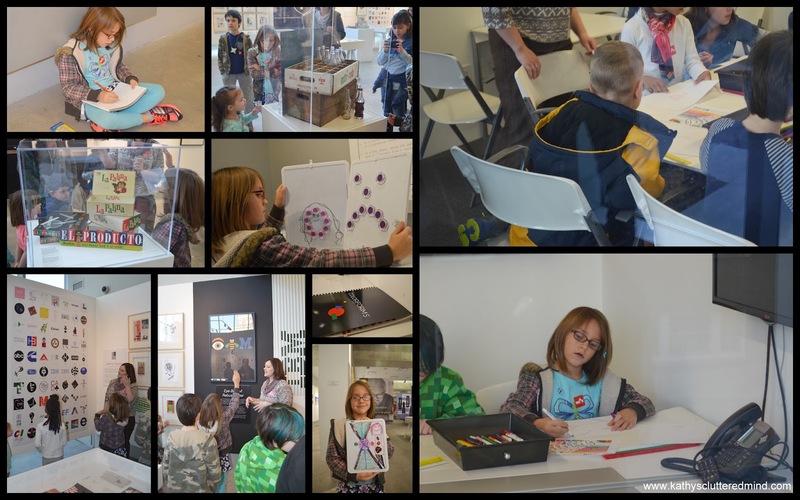 There were several hands on activities throughout the exhibit like an artistic brain teaser, colorforms, and audio stations. The children were thrilled...a museum where you can actually touch and explore! The Rand museum was fantastic. It was engaging and presented a style of art work that we had not really explored - graphic design. The children were able to really identify with the art and for the rest of the day they were pointing out logos! MODA looks amazing from the outside and it's even more amazing on the inside. The museum lobby is very open and includes the registration desk, small gift shop, benches and an intro to the exhibit. The gift shop does have breakable items so be aware of small hands touching items. The day we visited there was a giant glass table filled with white Legos which kept the kids busy for awhile before our tour started. They were encouraged to build space ships and they did! Restrooms are located near the front of the museum as well. The museum is bright white inside with lots of natural lighting which gave it a nice, peaceful feeling...perfect for a museum. After you take a peak at the exhibit intro you walk along a long hallway, filled with pieces of artwork, timelines, etc. The hallway leads to two large exhibit rooms.The placards with information about the pieces were terrific. They provided lots of information, yet were simple to read. The museum only has one exhibit at a time and in between exhibits the museum closes down for about a month, so make sure you check the website for exhibit dates. You can easily walk through the museum in about an hour or less. It took us a little longer because Gwyn likes to look at everything twice and she also draws her favorite piece of artwork in her fieldtrip journal. 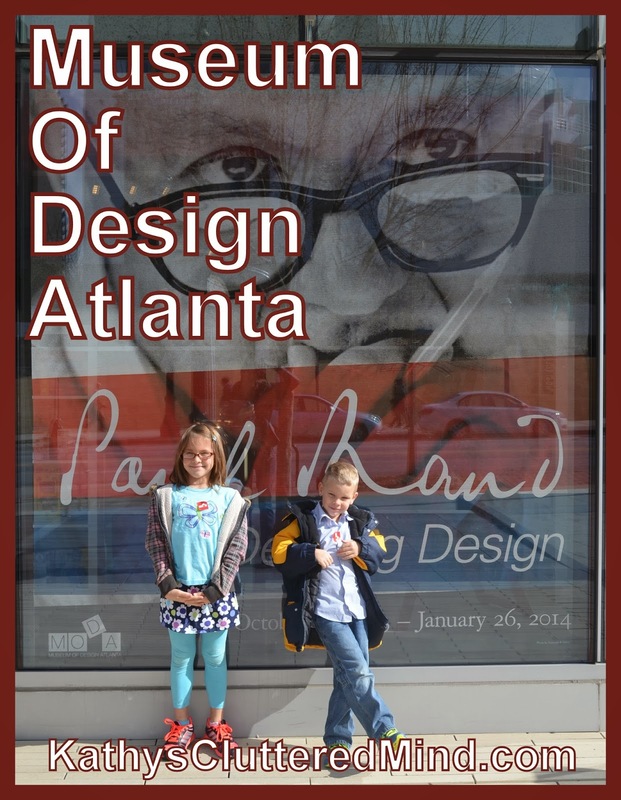 We have been to many art museums and MODA is now one of our favorites in Atlanta. 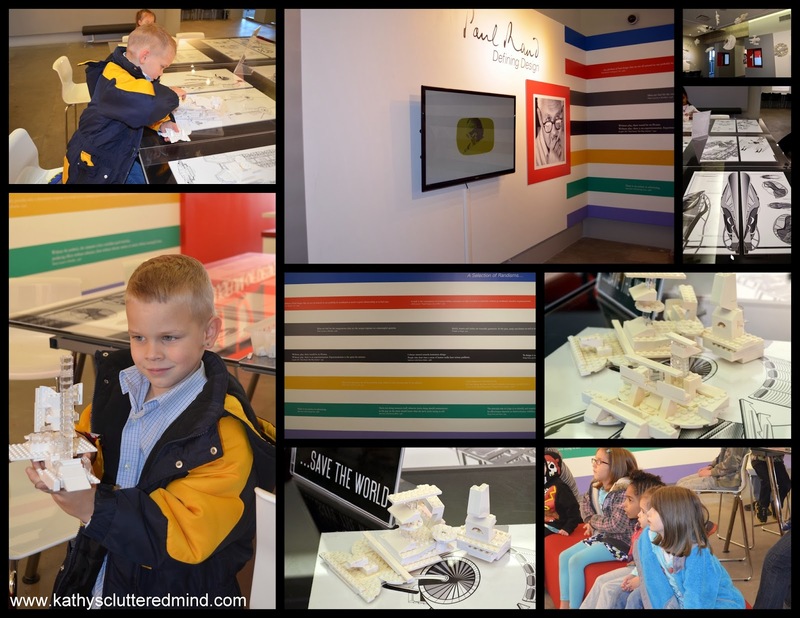 We enjoyed the hands on activities for the children and the relevancy of the more modern artwork to our everyday lives. February 23 - May 11, 2014 - Hidden Heroes. The Genius of Everyday Things highlights the stories behind the design of 36 ordinary objects that have revolutionized the way we live, such as paper clips, bubble wrap, and pencils. Organized by The Vitra Museum in Germany, the products showcased in this traveling exhibition illuminate four aspects of their design: innovation, production, evolution and inspiration. To find out about the other exhibits for the year visit the website. -Photography is allowed in most exhibits. -There is a gift shop in the front with some cool items. Watch children there are breakables. -You will need to park at LAZ Parking 1337 Peachtree Street (requires fee) or across the street at the Woodruff Arts Center (requires fee). -Educational trips are available for: schools, homeschools, girl scouts and educators. -On the Final Friday of every month, MODA offers “pay-as-you-wish” admission. You choose the admission fee that’s right for you. -Also the second Sunday of every month, MODA offers “pay-as-you-wish” admission. In 2014, pay-what-you-wish days will fall on March 9, April 13, May 11, June 8, July 13, September 14, November 9, and December 14. The museum is closed Mondays, and open Tuesday, Wednesday, Friday, Saturday 10 am - 5pm, Thursday 10 am - 8 pm and Sunday 12 pm - 5 pm. *Homeschool days and special programs may be a different cost. The coat rack is my favorite. I think the coat rack is beautiful.